Having the right real estate agent means having an agent who is committed to helping you sell your home with the highest level of expertise in your local market. This means also to help you in understanding each step of the selling process. This commitment level has helped Courtney build a remarkable track record of delivering results. Courtney has lived in the Roanoke area for the last 23 years. As the daughter of two parents in the United States Military, she became a world wide traveler at a young age. She fell in love with the Roanoke Valley because it’s the perfect place to start and raise a family. 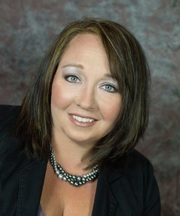 Courtney has 17 years of experience in sales and management. Her drive, determination and results oriented approach to real estate make her an excellent choice for helping you buy or sell your home! Call Courtney today-it’s the best move you’ll ever make! From start to finish, Courtney achieves results!